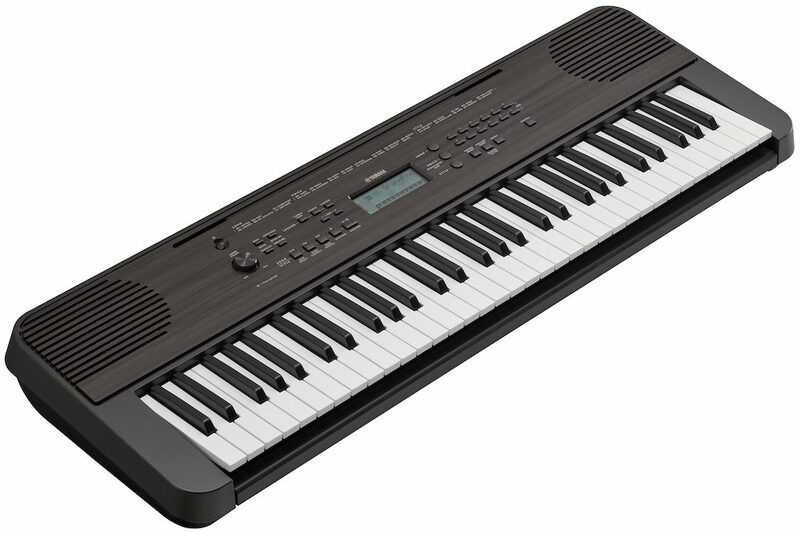 The Yamaha PSR-E360 is designed for beginners who need a practice instrument with touch sensitive keys at an affordable price. It's also designed for the home, featuring an attractive wood-like finish. This ultra-portable keyboard features a variety of built-in instrument Voices and accompaniment Styles, making practice more fun and keeping students engaged. Not only will a child learn on this instrument, they will have fun, and you will appreciate the attractive design. - Touch-sensitive keys add dynamics to your playing. Play lightly and the sound is soft. Strike the key hard and it's loud. - Style Recommender quickly finds suitable accompaniments based what you play on the keyboard. You can play the piano, pound out a drum beat or just tap a simple rhythm pattern on one key. The Clavinova narrows hundreds of Styles down to the eight best matches so you can start making music fast. - The Master EQ allows you to tailor the overall output for optimal sound in different listening situations. zZounds is an authorized dealer of Yamaha products. close [x]More ExpectedWe have been given a date of Jul 15 for the arrival of this item. This date is not guaranteed, rather an estimate based on either information obtained directly from the manufacturer or historical delivery data for the specific manufacturer.